Meet our holistic health practitioners: a diverse group of healthcare professionals dedicated to excellence in holistic healing and the well-being of our patients. Whether you’re interested in family medicine, acupuncture, chiropractic care, intravenous nutrition, or just have a question about naturopathic medicine, we’re here for you. Conveniently located in Brookfield, WI, our practitioners heal, educate, and empower individuals and families not only throughout the Midwest but world-wide. Whether you’re looking for acupuncture, intravenous nutrition therapy, chiropractic care, or a naturopathic doctor, our experienced and compassionate practitioners provide effective conventional and alternative medical care for general and chronic health problems. Dr. Michele A Nickels attended naturopathic medical school at Southwest College of Naturopathic Medicine in Tempe, Arizona followed by a residency in Wisconsin specializing in naturopathic family medicine. 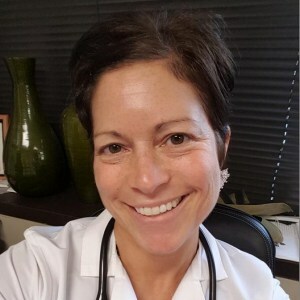 During her residency, Dr. Nickels educated traditionally trained medical doctors on the use of naturopathic medicine in clinical practice and functioned as residency director, mentoring naturopathic residents and medical doctors. Following her residency, she worked for eight years as a corporate doctor. By using natural therapies, Dr. Nickels helps bring the mind, body, and spirit into balance. Dr. Nickels is one of only a handful of doctors in the state to attend medical school for naturopathic medicine and complete a family practice residency. Her education, training, and clinical expertise allow her to help patients stimulate the body’s own healing mechanisms and transition into a healthier lifestyle. Dr. Dean Blazek is a native of Wisconsin, born and raised in the greater Milwaukee area. 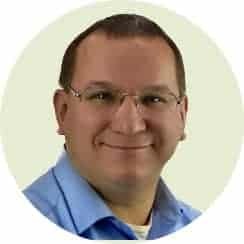 He is a 1999 graduate from Northwestern College of Chiropractic in Bloomington, MN, where he obtained his Bachelor of Science degree in Human Biology and Doctorate of Chiropractic. Dr. Blazek has been practicing chiropractic for over 18 years. Dr. Blazek believes it is very important to really listen to his patients and get an in depth history so that he can address their healthcare concerns and explain what kind of results to expect. He provides information for exercises at home and lifestyle changes that can not only help speed up recovery but also prevent future occurrences. By utilizing multiple adjustment techniques, he is able to accommodate the needs of a wide range of patients, from newborns to the elderly. Whether people are dealing with neck pain, carpal tunnel, headaches, colic, back pain, TMJ, shoulder pain, plantar fasciitis, or ankle pain, Dr. Blazek will work to determine the cause of the symptoms and remove the problem to get them feeling better.